The Albus Building, is a contemporary office located in the heart of the Glasgow’s Commonwealth District. As the name suggests the building is a striking white building with a precast façade and exposed concrete frame. This project was a repeat commission for Woolgar Hunter as we had recently completed the Olympia Building less than a mile away from the site of the Albus for our client, Clyde Gateway. 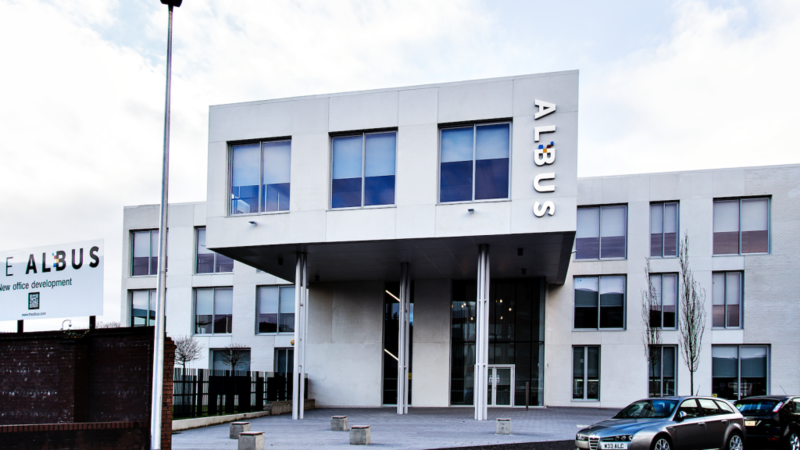 The Albus provides some 21,000sqft of flexible office space over three floors in the East End of Glasgow in the shadow of the former Commonwealth Games Village. Working closely with jm architects we designed an uncluttered concrete framed structure which the architect has worked with to expose and define the spaces throughout the building. The anchor tenant is a graphic design studio.